The versatile 6406 Series is available with 2 to 6 stations for flexibility, and includes a variety of input configurations: a high-capacity document feeder for up to 725 sheets, 1 or 2 high-capacity production feeders, standard and special feeders, and short feed trays. 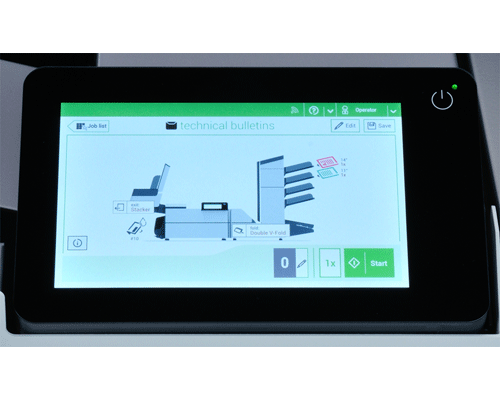 User-friendly features include the 7” color touchscreen control panel with graphics-based display and automatic paper and envelope presence sensors, a vertical output stacker which holds up to 500 filled envelopes, and a top-loading envelope hopper with a capacity of up to 325 envelopes which can be refilled on-the-fly. AutoSet allows operators to load envelopes and documents, then adjusts all settings automatically with the ability to store up to 50 programmed jobs for instant recall. 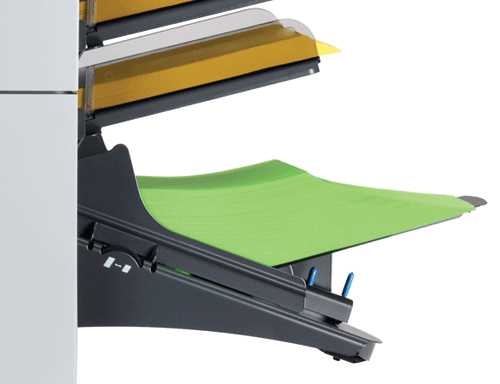 Its powerful folding capacity folds up to 10 sheets (half fold) or up to 8 sheets (tri-fold) at one time, plus Cascade Mode allows users to link feeders for continuous operation: when one feeder empties, another takes over. Double document detectors located at each feeder and the insertion area ensure no double documents are fed into the system. 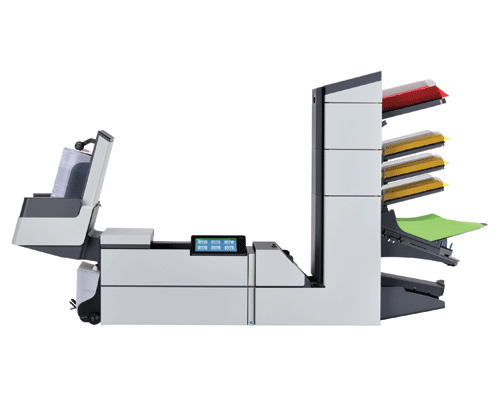 The 6406 Series utilizes electromechanical detectors which can operate with any print density, paper color, thickness or paper dust. Documents requiring inspection can be delivered automatically to the divert station. The 6406 Series also offers energy savings with its auto standby mode, which goes into effect after 1 hour of idle time. 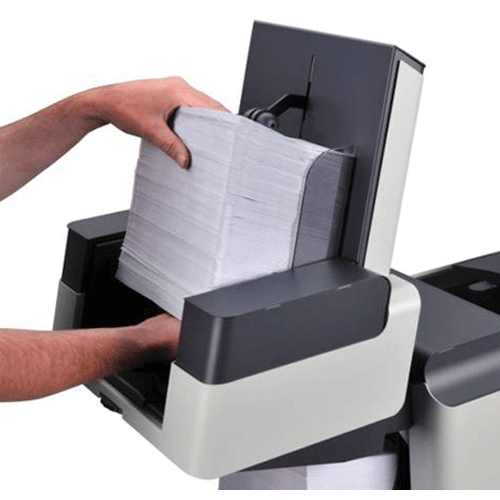 An optional CIS Scanner reads OMR, 1D and 2D Barcodes and OCR printed anywhere on the page, which provides the ability to automatically insert multiple-page documents, eliminating the tedious task of manually collating and inserting. 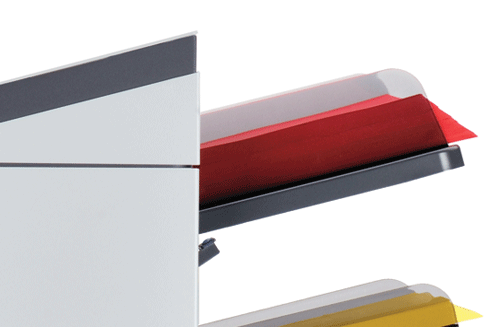 Additional options include high-capacity production feeders, short feed trays for small inserts or BREs, side exit trays, custom cabinets and 402 Series Joggers.